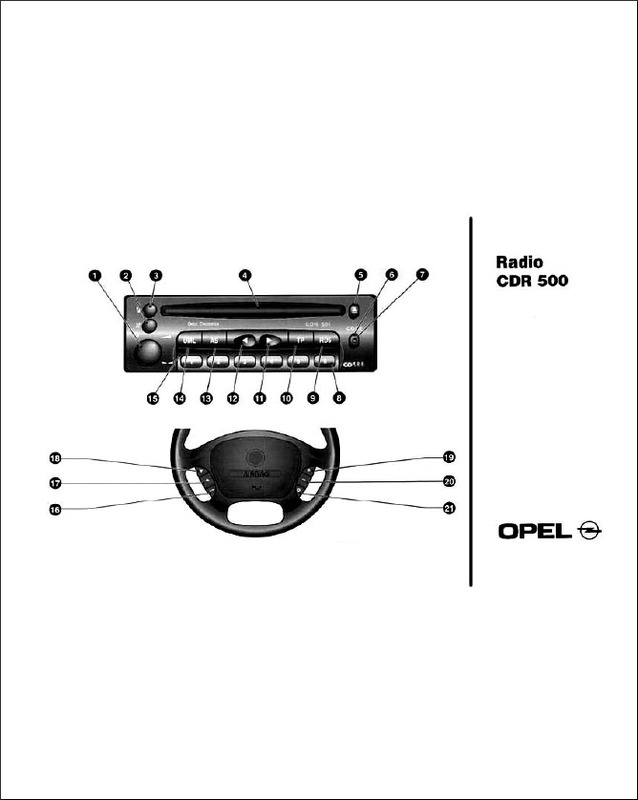 Instruction Opel Radio CDR 500 Delco complete original Russian version. 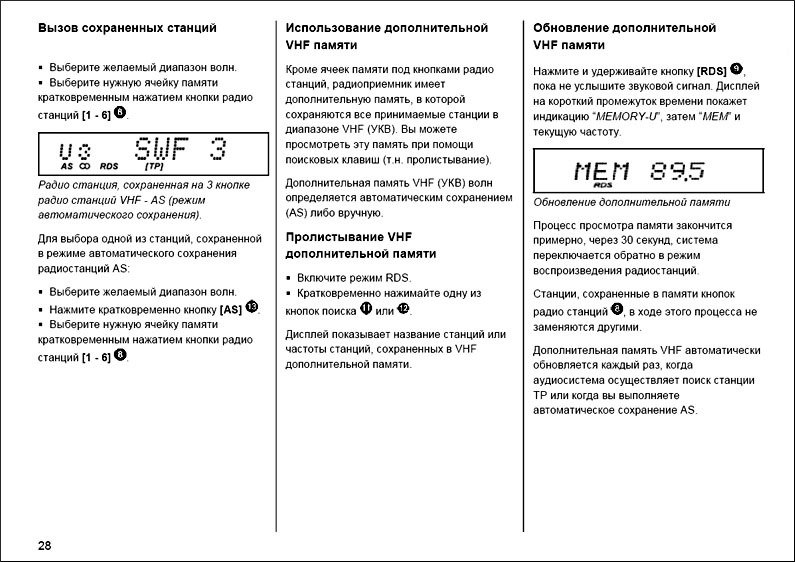 The format adobe acrobat, contains 34 pages. CDR 500 receives the radio signal in the range of short and medium long wavelengths. Receive messages about road conditions (TP) and the work of radio information system (RDS). The memory can store up to 30 stations. CD player allows listening to the standard CD drives. Staffing was adjusted to Opel Vectra B, all the years of release. Restyling and up restyled versions.